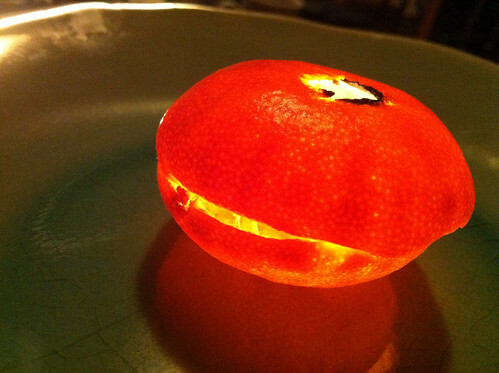 I watched this video on how to make a candle using a clementine, a knife and some olive oil. The narrator in the video has a fantastically soothing voice, and it’s a neat trick I might try for my next party. You could use the clementines to make this cake (without the peels). Wouldn’t that be nice?